Finox CS flakes: An economical hot water soluble cationic softener for imparting extremely fluffy feel, along with good durability. Finox CWS Flakes: Cold water soluble cationic softener in flakes form. CS1 is a vegetable fatty acid – polyamine based cationic softener. To meet the variegated demands of our reputed clients, we are engaged in manufacturing a wide array of Cationic Softener. Primafin LM10: Highly exhaustible softener for all fibers. GC-Eprilla BLCC Is a cationic softener in liquid form readily self-soluble in cold water & imp [arts very soft and limp feel. GC- Eprilla NSC Is a cationic softener in flakes form soluble in water at room Temperature (tropical), imparts good softness with body. GC-Eprilla WCF is a concentrated cationic softener in flakes form soluble in Lukewarm water. 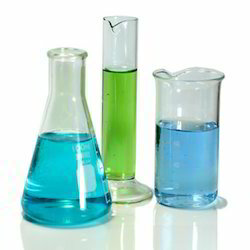 Our Cationic Softener is used in textile and garment industry. Our Cationic Softener is 100% in flake form. Cationic Fabric Softener is available as hot water dispersible .We offer our Cationic Softener in 25 Kg HDPE bags with liner. 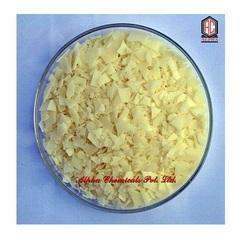 We are one of the prime Cationic Softener Manufacturers, based in India.